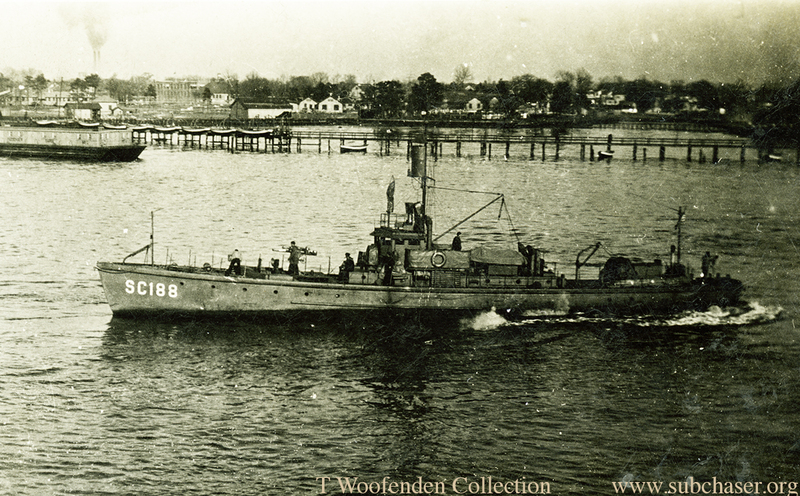 Submarine chaser SC 188 was built at International Shipbuilding and delivered to the New York shipyard on 3 May, 1918. This chaser was assigned to the 5th Naval District (Norfolk) and also served in the USS Patterson group. Photo: SC 188 at the Norfolk Navy yard. T. Woofenden Collection.